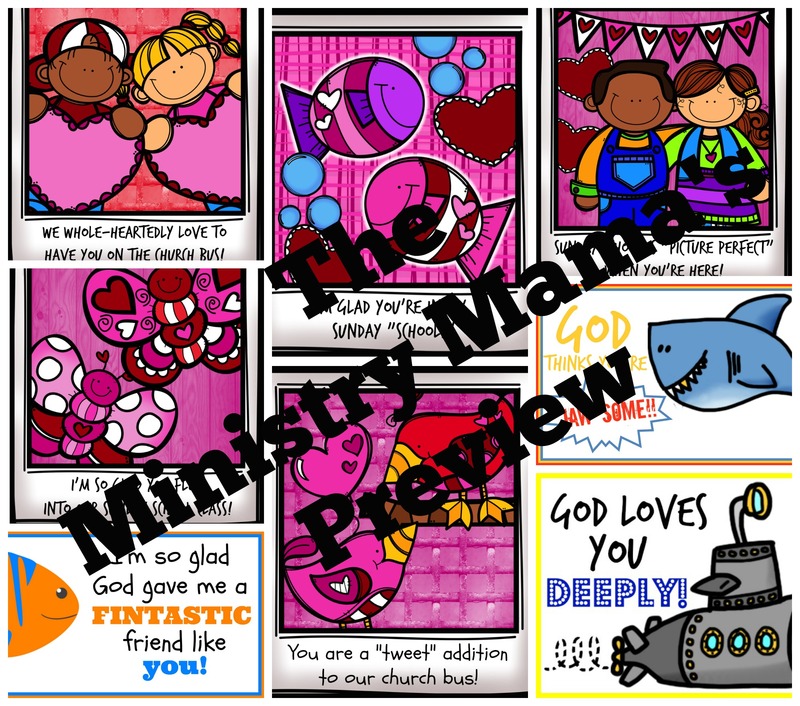 Here are three more sets of free Christian printable Valentine cards – one set for Sunday School teachers (probably for girls classes), and a set almost identical to it for church bus workers, and a set of ocean-themed boys Valentine cards. I just have not been able to stop making Valentine Cards, when a few more ideas struck me, I ran with it and you get to benefit! Have you seen very many cute Valentine cards specifically for Sunday School teachers or any from bus workers? Me neither… My children, especially our oldest son, Uno, helped me come up with the sayings on the cards. You can obviously tell that I love this kind of stuff! –I would have had these to you sooner but I accidentally posted them as a new page instead of a new post. Rookie mistake! I have not only been working on this but editing guest posts today from some other writers that will give us some more great content here at The Ministry Mama – one article reviewing a prayer journal and another testimony of a woman who gave up her custom-built home to follow God. Please follow this blog (over in the side bar) to receive these articles straight to your in-box when they are posted. Please remember these Valentine cards are for personal or church use only. They are not for commercial purposes of any kind. Please remember if you share or post this on your own website to please link it to this page, not the .pdf. Thank you so much for stopping by! Please see the Free Christian Valentine’s Printables page for more! Credits for the graphics in these Valentine’ s go to these people at the Teachers Pay Teachers online store. Please go check out their products, they have done some great work!